It’s hard to know what to make of Lehman Brothers Holdings Inc’s claim that it is owed $11 billion more from Barclays. Lehman, which is now being run by bankruptcy trustees, says that Barclays received a “windfall” allegedly when it bought Lehman’s brokerage thanks to a secret discount on securities it acquired as part of the purchase. Lehman first filed its lawsuit over the alleged windfall in November, when it said the secret discount gave Barclays an embedded $5 billion gain. Barclays’s defence is basically a claim that Lehman is just trying to retrade now that the markets have recovered. It says that Barclays is actually owed $3 billion from Lehman. If you’ve seen the way Wall Street operates, the idea of a secret discount doesn’t sound far fetched. Lehman employees were basically negotiating the sale with their future employers, and had every incentive to want Barclays to see big gains from the deal. One way of assuring that would have been to let Barclays buy assets dirt cheap. On the other hand, in September of 2008 the world really was facing a horrific financial meltdown. If you did not have to sell something, you thanked your lucky stars and held on to it. If you had to sell a financial asset, you had to sell it dirt cheap. 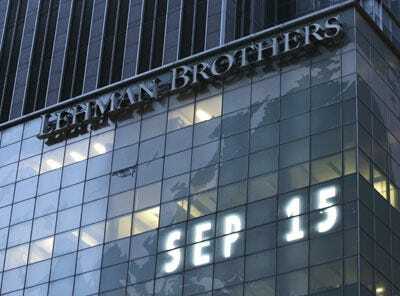 There’s no realistic way Lehman could have got a better deal in September of 2008 than the one it got from Barclays.